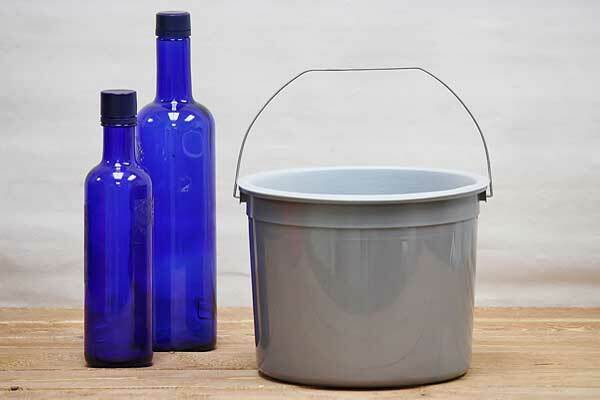 Enjoy your paint work with this rugged plastic paint pail. The lightweight construction makes 5 quarts of paint just right to carry to the canvas or up a ladder. Use to clean rollers and brushes. There's nothing more handy or all-purpose than a classic grey paint bucket. Liquid quart measurements are embossed on paint pail's interior. With few sturdy plastic bucket liners clean up is a breeze. Purchase together, individually or separately. Don't forget to order a paint brush. This paint pail is perfect for washing brushes! Made in the USA. You might also like our metal paint pail with plastic liner.